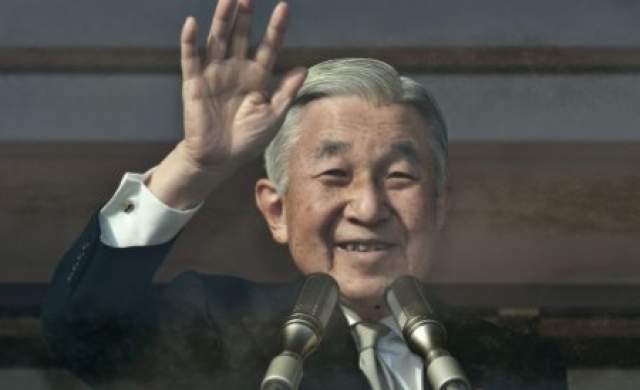 Home Tags Posts tagged with "emperor akihito"
Japan’s has cleared the way for Emperor Akihito’s abdication after the parliament has passed a one-off bill. Akihito, 83, is the first emperor to abdicate in 200 years. In 2016, he said that his age and health were making it hard for him to fulfill his official duties. However, there was no provision under existing law for Akihito to abdicate. The government will now begin the process of arranging his abdication, expected to happen in late 2018, and the handover to Crown Prince Naruhito, 57. Akihito, who has had heart surgery and was treated for prostate cancer, has been on the throne in Japan since the death of his father, Hirohito, in 1989. In a rare address to the nation in 2016, Akihito said he was beginning to feel “constraints” on his health which were making it hard for him to fulfill his official duties. The emperor is constitutionally barred from making any political statements, so he could not say explicitly that he wanted to stand down as that would be considered comment on the law. The newly passed law says that on abdication, the emperor’s son, Naruhito, will immediately take the Chrysanthemum Throne, but that neither he nor his successors would be allowed to abdicate under the law. The government is yet to set a date for the abdication, but the bill says it must take place within three years of the law coming into effect. The handover is widely expected take place in December 2018. The emperor has no political powers but several official duties, such as greeting foreign dignitaries. Japan’s monarchy is entwined in the Shinto religion and the emperor still performs religious ceremonies. Most support the emperor’s desire to abdicate – a survey by the Kyodo news agency after Akihito suggested he wanted to step down found more than 85% saying abdication should be legalized. A discussion about whether or not a woman would be able to ascend the throne was triggered in 2006 when the emperor had no grandsons, but was postponed after a boy was born to the imperial family. Japan’s Emperor Akihito has made a step closer to his abdication after the government has approved a one-off bill. In 2016, Emperor Akihito, 83, said that his age and health were making it hard for him to fulfill his official duties. However, there is no provision under existing law for the emperor to abdicate and be succeeded by Crown Prince Naruhito. The bill will now pass to the parliament, where it is widely expected to be passed. It would be the first time a Japanese emperor has stepped down since Emperor Kokaku in 1817. Chief Cabinet Secretary Yoshihide Suga told reporters on May 19 that the government “hopes for the smooth passage of the legislation”. Emperor Akihito, who has had heart surgery and was treated for prostate cancer, has been on the throne since the death of his father, Hirohito, in 1989 and is loved and revered by many Japanese. 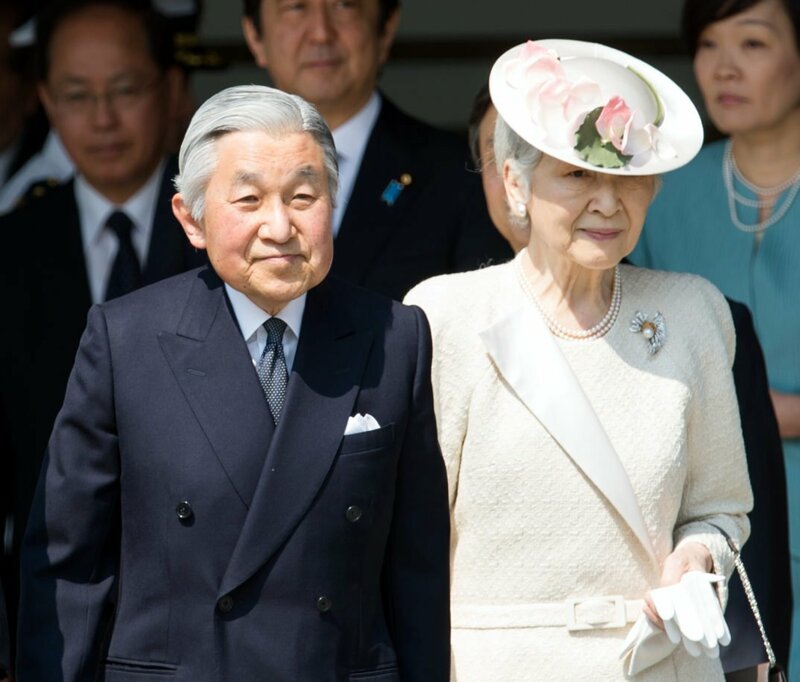 In a rare address to the nation in August 2016, Akihito said he was beginning to feel “various constraints such as in my physical fitness” which caused him to “contemplate on my role and my duties as the emperor in the days to come”. The emperor is constitutionally barred from making any comments on politics, so he could not say explicitly that he wanted to stand down. The bill approved by the cabinet on May 19 mentions the widespread public support for the emperor’s wishes, Japanese media reported. It says that on abdication, Crown Prince Naruhito would immediately take the Chrysanthemum Throne, but that neither he nor his successors would be allowed to abdicate under the same law. The government will set the date for the abdication, which is expected to be in December 2018. Women are not allowed to inherit Japan’s throne and so Princess Aiko, the daughter of Crown Prince Naruhito, cannot succeed her father. A debate about whether or not a woman should be able to ascend the throne was triggered in 2006 when the emperor had no grandsons, but was postponed after a boy was born to the imperial family. The discussion about the role of royal women arose again this week when it was announced that Princess Mako – Akihito’s eldest grandchild and Prince Fumihito’s daughter – was to be engaged to a commoner. 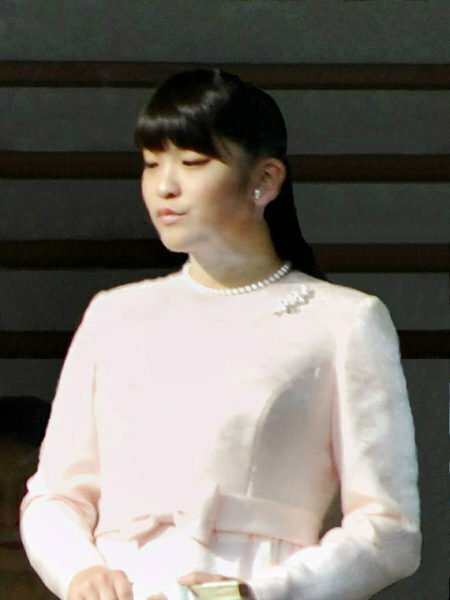 Under Japanese law, Princess Mako, 25, will have to give up her royal status and enter private life after her marriage. Princess Mako of Japan will lose her royal status by marrying a commoner. The 25-year-old eldest granddaughter of Emperor Akihito will become engaged to law firm worker Kei Komuro, also 25, whom she met while studying together. Japan’s imperial law requires a princess to leave the royal family after marrying a commoner. The move is expected to reignite debate on royal succession, with the emperor also possibly abdicating soon. Princess Mako and Kei Komuro met in 2012 at a restaurant, when they were both studying at the International Christian University in Tokyo. The Imperial Household told local media that plans were under way for the princess’s engagement. According to AP, a public announcement will be made, and then a wedding date will be set. The news agency said the couple would also make a formal report to the emperor and empress. The engagement will only be official after a ceremonial exchange of gifts, local media said. Princess Mako’s aunt, Princess Sayako, married a commoner in 2005 – the first time a Japanese royal became a commoner. Princess Sayako’s wedding to an urban planner for the Tokyo city government, was described as a low key event. She was left to adjust to her more humble surrounding. The princess moved into a one-bedroom apartment, had to learn how to drive, shop in a supermarket and buy furniture. Princess Sayako is the only daughter of Emperor Akihito. Emperor Akihito, 83, hinted last August that he wanted to stand down, saying his age could interfere with his duties. No Japanese emperor has abdicated for two centuries and the law currently does not allow it, but Japan is currently considering legal changes to allow the emperor to abdicate. However, the new legislation is expected to leave unchanged a males-only succession law – which has been at the centre of debate for many years. Because of that law there are only four heirs to the Chrysanthemum Throne: Akihito’s sons Crown Prince Naruhito and Prince Fumihito, Prince Hisahito (Fumihito’s son) and the emperor’s younger brother, Prince Masahito. 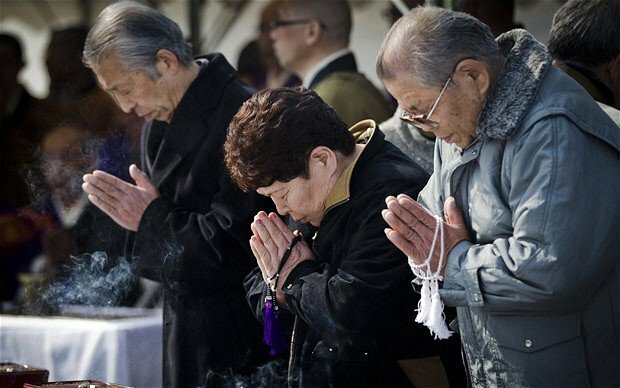 Japan marks one year commemoration of the devastating earthquake and tsunami, which struck the north-eastern coast, leaving 20,000 dead or missing. The 9-magnitude quake, Japan’s most powerful since records began, also triggered a serious nuclear accident at the Fukushima Daiichi nuclear plant. Thousands of people were evacuated as radiation leaked from the plant. There were memorial services, and a minute’s silence was observed at the moment the quake hit, 14:46 local time. The main memorial ceremony was held at Tokyo’s National Theatre, attended by Japan’s Emperor Akihito, Empress Michiko and Prime Minister Yoshihiko Noda. “We shall not let our memory of the disasters fade,” Emperor Akihito said in a brief televised address. PM Yoshihiko Noda pledged to rebuild so that Japan could be reborn “as an even better place”. Much of Japan came to a standstill as the minute of silence was observed. Warning sirens sounded across the north-east of the country at the precise time the quake struck, 14:46 local time. Bells and prayers also reverberated across the country. The earthquake struck about 400 km (250 miles) north-east of Tokyo on 11 March 2011. Shortly after the quake, an immense surge of water enveloped the north-eastern coast as a tsunami swept cars, ships, and buildings away, crushing coastal communities. The twin natural disasters claimed more than 15,800 lives, and more than 3,000 people remain unaccounted for. In the Fukushima prefecture, where the Fukushima Daiichi nuclear plant is located, the impact of the disaster was particularly acute. Radiation leaked from the plant after a series of fires and explosions damaged four of the plant’s six reactor buildings, with serious failures in the plant’s cooling system being at the heart of the problem. A 20 km (12.5 mile) exclusion zone around the plant was put in place making tens of thousands of people homeless. Radiation means the area around remains uninhabitable. The plant is in cold shutdown now and PM Yoshihiko Noda has promised that over the decades to come it will be decommissioned. He has also pledged to rebuild the devastated towns along the coast. However, Japan is still dealing with the economic and political fallout of the disaster. Japan’s prime minister at the time of the disaster, Naoto Kan, resigned months later. Naoto Kan had been criticized for failing to show leadership during the nuclear crisis after the quake. The nuclear crisis also revealed serious flaws in the nuclear industry’s regulatory systems and safety standards. Although much of the debris has been cleared, survivors from the devastated north-east have complained about slow recovery efforts.